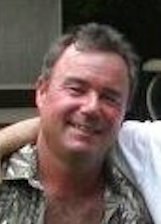 Scott T. Kokoszka, 45, of Stafford Springs, CT, passed away unexpectedly at home on Tuesday, June 12, 2012. He was born in Manchester, CT, son of Joseph and Cheryl (Smith) Kokoszka. He graduated from Enfield High School and Keene State College, where he was a member of Tau Kappa Epsilon. Scott worked as an iron worker for Southern New England Builders, and was a member of the Iron Workers Local 424 New Haven. Beside his parents, Scott is survived by a sister, Wendy Westall and her husband Nate; two nieces, Shelby and Hailey; two aunts, Maggie Musiak and her husband Don, and Pat Peregoy; an uncle, Ed Kokoszkaand his wife Denise; many cousins; and his two beloved dogs, Roxie and Zoe. A Memorial Service will be held on Saturday, June 23, 2012 at 12 P.M. at Introvigne Funeral Home, Inc., 51 East Main St., Stafford Springs, CT. A calling hour will be held from 11 A.M. – 12 P.M. prior to the service. Memorial donations may be made to Town of Stafford Animal Control, Attn. Animal Control Officer, 1 Main St. Stafford Springs, CT 06076.